Donations will be used to fund our entire basketball program such as new uniforms, team gear, basketballs, transportation, team shoes, and end of the year banquet costs. The athletic programs in our school district are self-supporting and we have to raise 100% of our funds every season. Your donation is vital to the success of this program. 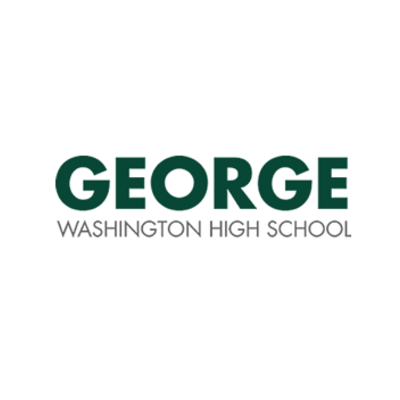 George Washington Girls Basketball family, friends, and fans - Thank you so much for taking the time to view our fundraiser page. Your support will help us offer a higher quality high school basketball experience for all our athletes. If you could please spread the word about our fundraiser by sharing it with your friends on Facebook and Twitter we would greatly appreciate it. Our young women have been working hard to properly represent this great school and town. Any support is greatly appreciated. Go Patriots! "Make the baskets, just like at your house!!" "Go G-Dub team! (and Coach Lyons!)" "Go Greta and the Washington High Cherry Trees!" "BEST OF LUCK TO CEJAY AND TEAM!!!" "Good luck Ava in reaching your goal. Proud of you :) Dr. Clair"
"Good luck Keith and Ladies! " "Way 2 GO,CEDAR!! Go get'em Lady Patriots!" "Kisses to you Ava! G-DUB!!!"